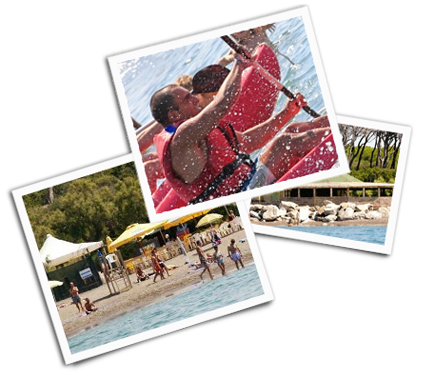 Courses on basketball, volleyball, ping-pong, archery, tennis, canoeing, dance, aqua-gym, gymnastics, wind-surfing. In addition, for a small supplement it is possible to use the lighted tennis courts and go out on mountain bike excursions or walking trips. 3 lighted tennis courts, one of which is multipurpose.